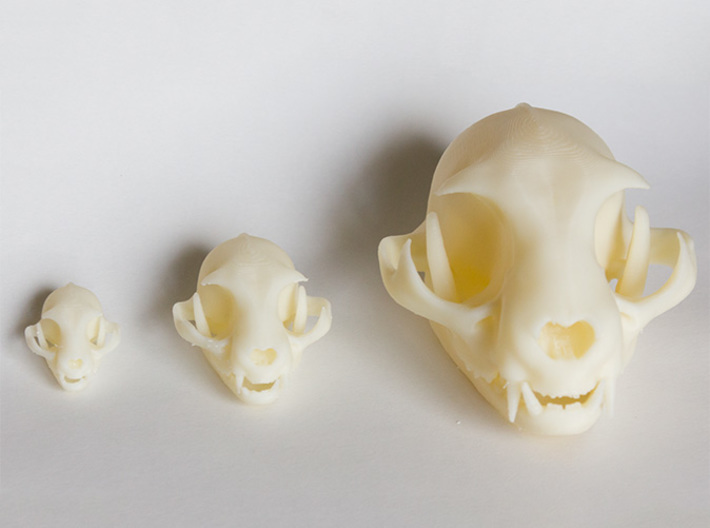 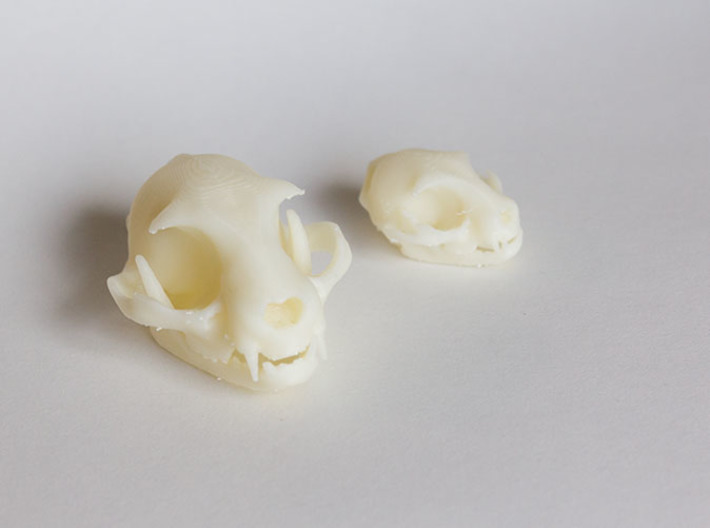 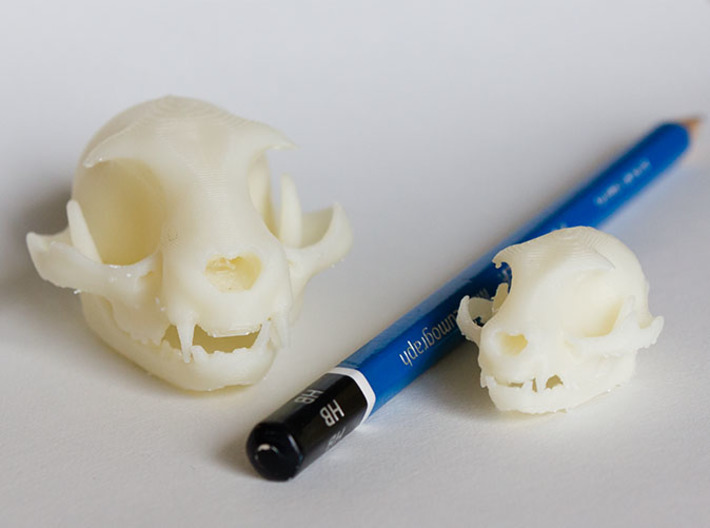 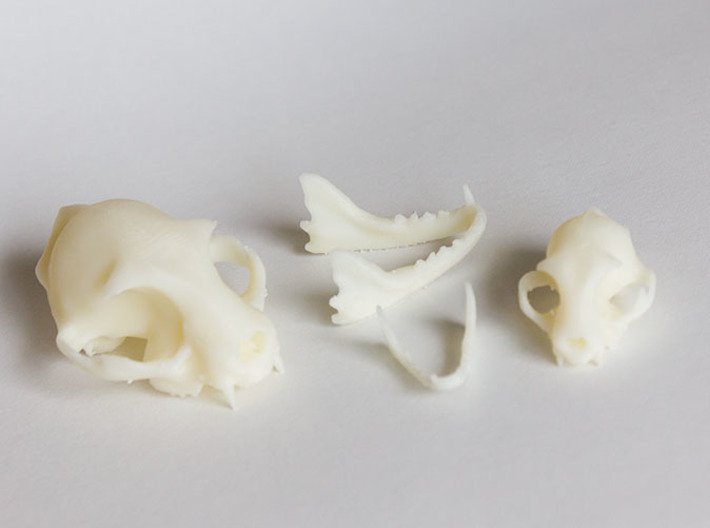 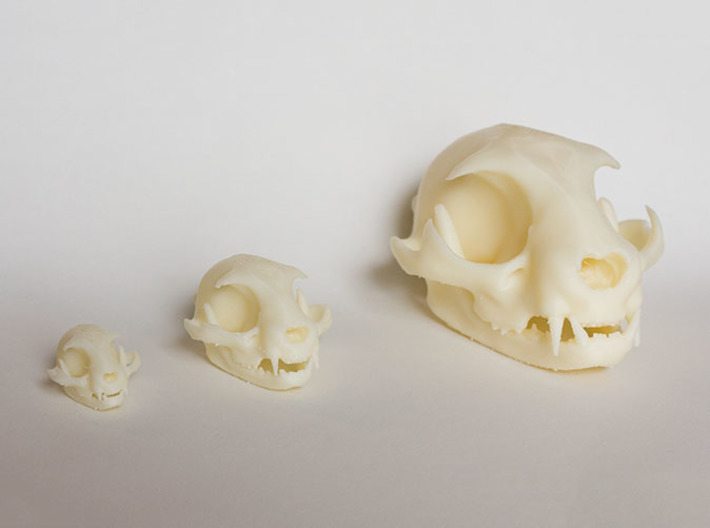 Love skulls, cats, and miniature models? 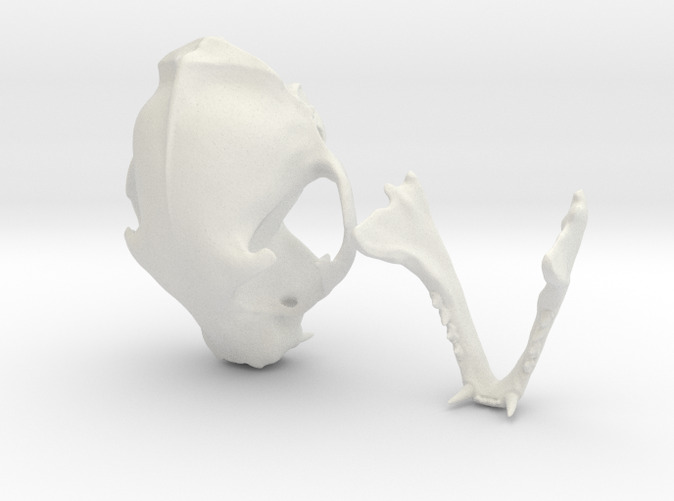 This tiny skeletal companion is Perfect for You! 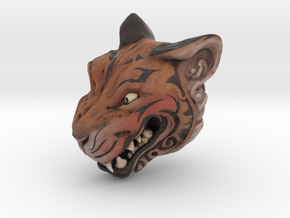 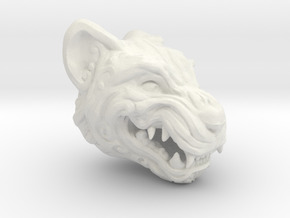 One of my first detailed ZBrush sculpts from back in 2014, a semi-realistic skull of a domestic cat (a few small anatomical features are missing or altered). The model has a small 4mm hole at the base to allow emptying of powder after printing.